Vergeiner’s Hotel Traube is a family-run town hotel in Lienz, featuring a range of unique highlights such as a 360-degree-view of the rooftops of Lienz and the surrounding Dolomites, individual service, perfectly fitted rooms, a relaxing ambience, a spacious panoramic spa and the central location. The Vergeiner family has been welcoming guests since the year 1860. At Vergeiner’s Hotel Traube you start your day with a tasty breakfast from the buffet with muesli corner and juice bar. 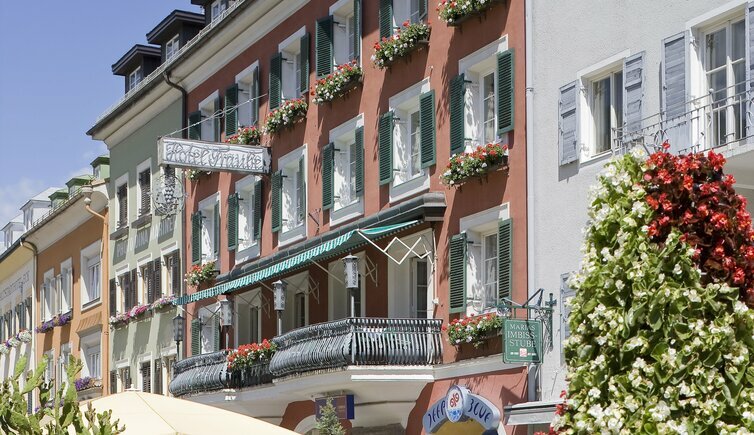 In the evening, we pamper you with Italian and East Tyrolean classics. The central location of our hotel allows for a sheer incredible variety of leisure-time possibilities. 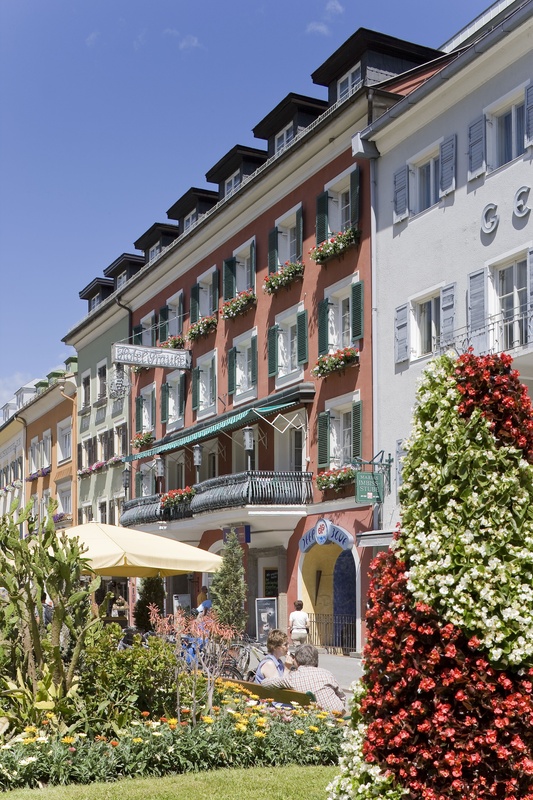 The shopping street is located right outside the hotel door, hiking- and biking trails are reachable in only few minutes’ drive and the Tristacher Lake invites for a leisurely swim or two or some relaxed hours by the sunny shore. South Tyrol and Klagenfurt are easily reachable by train or car and offer the ideal destination for day trips; also the Großglockner- and the Pustertaler high alpine roads are well worth a visit. Treat yourself to some relaxing days in the East Tyrolean capital Lienz and enjoy the wonderful views, the many inclusive services and the luxury programme at Vergeiner’s Hotel Traube. Hauptplatz 14 - 9900 Lienz 672 m a.s.l. Elegant rooms, relaxed ambience, area wellness with panoramic view.